New Look Dental (Glendale) - Book Appointment Online! Welcome to Dental Office of Dr. Lousine V. Kirakosian in Glendale, CA. We also service Burbank, Pasadena and all the surrounding areas in Los Angeles, CA. 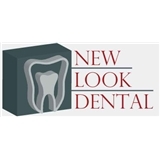 New Look Dental provides the highest quality of dental care and offers the latest technological procedures in cosmetic dentistry and general dentistry. Our comprehensive cosmetic, restorative, and preventive care, includes, Invisalign clear braces, the most beautiful and realistic porcelain veneers, the very best types of dental implants, mercury-free fillings, metal-free restorations, non-surgical periodontal therapy for gum infection, digital x-rays to reduce radiation exposure, teeth whitening, dental veneers, fixed & removable dentures, and invisalign. Our Approach Our one-on-one approach to dentistry, in addition to the simply stunning cosmetics dentistry and restorative dentistry results we consistently achieve, make Dr. Lousine Kirakosian and the New Look Dental staff the cosmetic and general dentistry team of choice in the Glendale, CA area. We offer all of the most popular cosmetic and restorative dental services, including porcelain veneers, tooth whitening, and crown and bridge work, among others. For a more complete transformation, our patients are encouraged to work with our Glendale smile design team to combine multiple treatments to achieve a full smile makeover. I love Dr. K and her staff! I will never go to another dentist for as long as she is operating her business. The most gentle caring and loving doctor and these are all qualities we want when looking for any doctor. On top of that, she knows her stuff and she is extremely skilled at her job. You are in not good but great hands with Dr. Kirakosian.